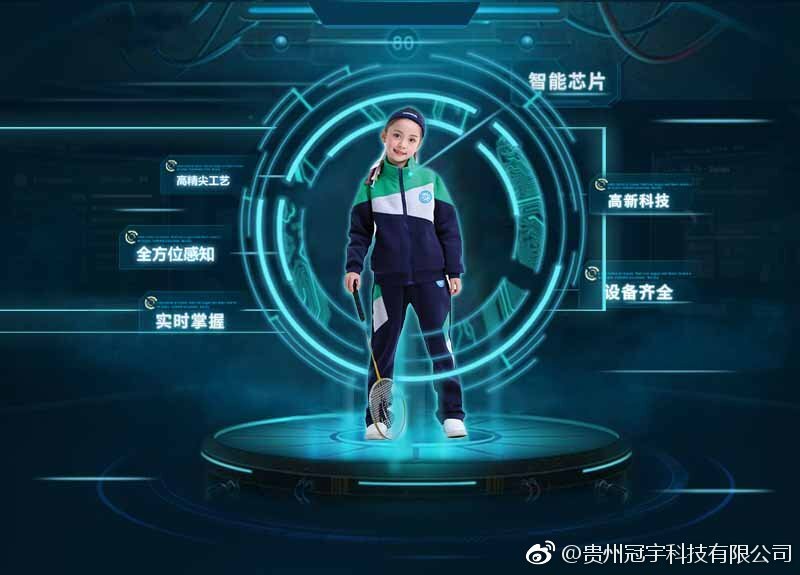 China’s high-tech surveillance apparatus is moving into schools, with reports that children are being forced to wear “intelligent uniforms” embedded with microchips. The microchipped uniforms have become standard policy at more than 10 schools in China’s Guizhou province and the neighboring autonomous region of Guangxi, according to a report Tuesday in the Epoch Times that quotes local media. The uniforms are designed to help the schools and parents to track student’s movements in real time and trigger an alarm should they skip class, the report said. Lin Zongwu, principal of the No. 11 School of Renhuai in Guizhou Province, told media that the uniforms come with a host of features that go beyond thwarting truancy. For example, should a child fall asleep during class, the uniforms will also send out an alert to teachers and parents. The uniforms can also monitor what kids buy at school shops and allow parents to set limits on their spending. And Big Brother goes even further, as the intelligent uniforms are said to be matched up with databases that use facial recognition technology to match each child’s face with the smart attire. This is to prevent students from swapping uniforms or using other methods to try and manipulate the tracking systems, Lin said. The uniforms can also track student’s movements outside of school hours, but Lin said his school has decided not to do this. Not surprisingly given their seemingly foolproof nature, the introduction of the uniforms has resulted in a surge in attendance figures at the No. 11 School. Each uniform is said to be fitted with two microchips that are sewn into the jacket shoulders. The chips can withstand temperatures of up to 150 degrees Celsius and have a lifetime of about 500 wash cycles, according to the manufacturer, Guizhou Guanyu Technology Co.
Guizhou Guanyu says on its website that the uniforms were developed as part of the Chinese government’s policy to establish “smart campuses” at its schools. The smart campuses policy originates from Beijing’s 13th Five Year Plan, which covers the years 2016 to 2020. The plan calls for China to become a world leader in technology manufacturing with a view to rivaling the West by 2025.